Capt. Billy Rotne is mad as you know what, and he can’t take it anymore. The long time fishing guide, owner of Tail Hunter charters, has spent the majority of his life on the once pristine waters of the Mosquito Lagoon. And he loves the fragile and beleaguered estuary so much, he’s actually willing to leave it. No easy task. But it’s what he feels he must do. 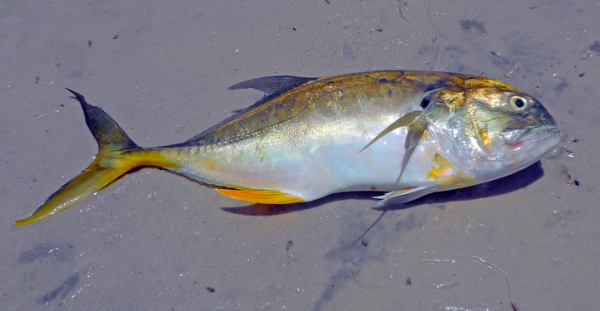 Fish kills are becoming more frequent. He felt so strongly about it, he posted his feelings on his Facebook page March 5. In 943 well-chosen words, he succinctly explains why it is painfully difficult to watch an estuary die in front of one’s very eyes. Rotne’s reasons are numerous. First, there is the degradation of habitat. The seagrass beds of the lagoon which were once meadows now are disconnected small pads of grass hard to pinpoint and thinning every day. Then, there is the water quality which was usually clear, but has been murky, making sight casting a rare opportunity for visiting anglers. Also, fishing pressure on key brood stock has increased, while ethical behavior on the water has decreased.